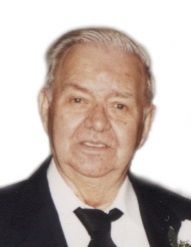 John A. Burns, 90, of North Kansas City, passed away on Thursday, April 5, 2018 at North Kansas City Hospital. Visitation will be from 9:00 a.m. to 10:00 a.m., followed by a funeral service on Saturday, April 14, 2018 at Park Lawn Northland Chapel, 1640 North 291 Highway, Liberty, Missouri. Burial with military honors following services in Yankee Ridge Cemetery, Ridgeway, Missouri. John was born Saturday, August 13, 1927, to James Harvey and Rosalie Pearl (Miller) Burns in Bethany, Missouri. He attended school in Bethany, Missouri. John married the love of his life, Dixie Liming in 1947. After serving in the United States Navy, John established his civilian career as a locksmith. John worked for Kenton Bros Lock Co. for 49 years. John will be remembered as an avid collector, particularly of knives, finding deals at auctions, his love for the outdoors, and homemade salsa; "he made the best salsa around." Most importantly, John will be remembered for the love he had for his entire family, extended relatives included. John is preceded in death by his wife of 50 years, Dixie (1998); sons Richard (2011) and Danny Burns (2017) and six siblings. He is survived by his children John A. Burns, Jr. (Janet), Roger Burns (Diane) and Rosalie Gillespie (Gary); sister Bette Cook, 13 grandchildren, 23 great-grandchildren and numerous nieces, nephews and friends.